In an inland North American rainforest that few people even know exists, about a dozen dwindling herds of caribou are struggling to survive. David Moskowitz helps us understand why this is happening: how we, as humans, affect even the most remote places on the planet and how our personal, political, and environmental choices matter. 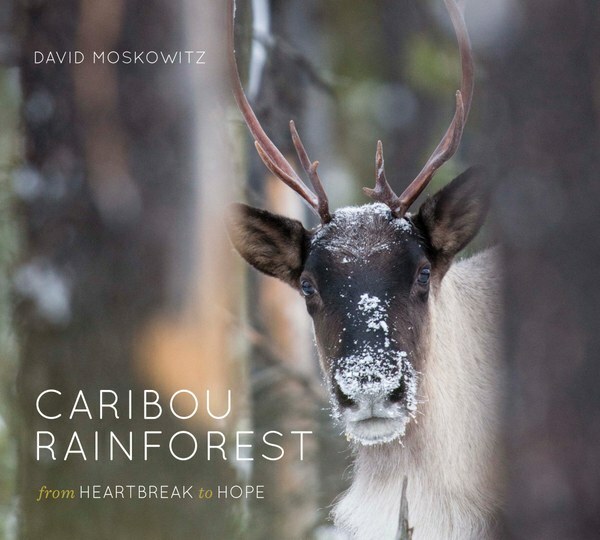 The following is excerpted from Caribou Rainforest: From Heartbreak to Hope by David Moskowitz. 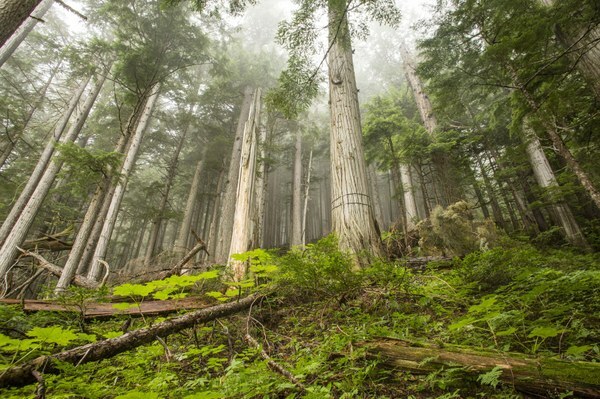 This is from Chapter Four, "Mountain Caribou: Ghosts of the Rainforest." You can meet David in person at one of his many upcoming public events, including on Dec. 2 at Browser's Bookshop in Olympia, WA. The life history of these caribou evolved right along with the forests themselves, following the retreat of the last ice age starting about twelve thousand years ago. If these caribou disappear, the possibility of restoring the population with caribou from anywhere else in the world, unaccustomed to the annual dance through the landscape required to survive here, appears thin. While debate rages on about the best ways to keep caribou alive on the ground in the short term, everyone realizes the true problem is that the functional ecosystem they evolved in is being torn to pieces by humans. There are two paths to go down when attempting to defend the survival of an animal such as mountain caribou. One is to deal with this animal as a discrete entity. Indeed this formulation is codified into law through legislation like the Endangered Species Act in the United States and the Species at Risk Act in Canada. One of the first tasks in applying protection for an animal is to identify the species of concern as a discrete entity that is threatened with extinction. The concept is hardwired in how we see and discuss creatures—the whole concept of a “species” defines an organism as unique and separate from any other living thing on the planet. For mountain caribou, the primary “cause” is that their refuge habitat has been fragmented, leading to unsustainable predation rates. Possible “antidotes” include management activities, such as capturing pregnant females and putting them in enclosures before they give birth to protect cows and calves from predators. We can also kill the predators that prey on mountain caribou or kill the competing prey species that drive predator numbers up. 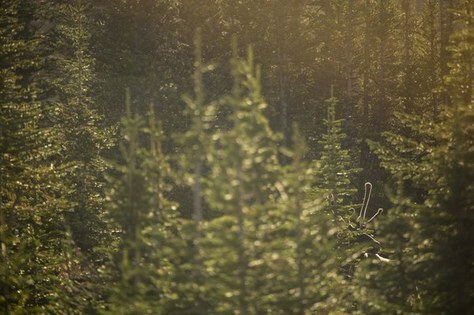 We can provide supplemental food for caribou in the fall to increase their chances of survival in the winter. All of these actions can artificially prop up the numbers of mountain caribou and potentially prevent them from disappearing. If we consider mountain caribou to be just a species of animal in a distinct geographic range, these activities, if carried out in perpetuity, could possibly preserve the population. 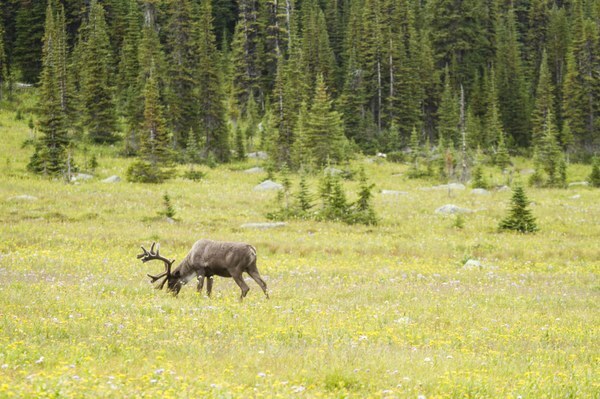 The second way for us to approach mountain caribou survival requires a fundamental shift in thinking for our society—viewing mountain caribou not as just a group of animals that can be kept alive by artificially modulating their environment, but as a process that emerges out of the natural functioning of an ecosystem. Ecosystems have emergent characteristics that arise out of the relationships among the parts—not out of any one constituent part. From this perspective, the entity we think about as “mountain caribou” is not an animal; it’s a relationship between animal and landscape. You can’t take mountain caribou out of these mountains, put them somewhere else in the world with less predation pressure, and say you have saved the species. These animals are defined by their unique relationship with this specific land. Get involved by attending one of David's upcoming events, purchasing Caribou Rainforest, or finding out what you can do to help the mountain caribou and their unique ecosystem.